Let’s start where we left off and jump right into the review of some of the features available with SharePoint’s new modern experience. Heroes are used to display link tiles. They are very simple to add and can impress visitors to your page with their appeal and ease of use. You can choose to display 1, 2, 3, 4, or 5 tiles at once, but you can’t display more unless you reuse another hero part. By adding images to the linked tiles, you can create an appealing display. Microsoft had to sell us on their Bing engine initially, but actually, the web part is quite useful for displaying locations on “About” and event pages. 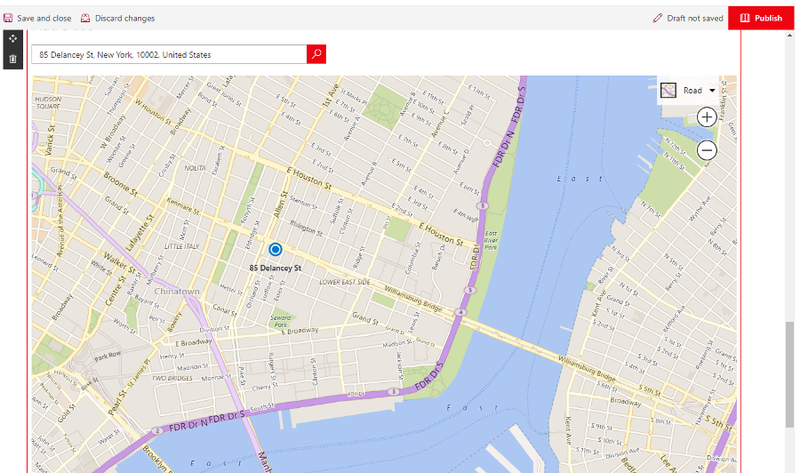 To use, simply type in your address, chose the view display type, and zoom in/out accordingly – you are good to go! The only slightly frustrating part is when end users try to scroll up/down the page but have their mouse on the map; this will cause the map to zoom rather than the page to scroll, so users beware. This is simple and effective. Just add the web part, upload or select existing pictures, and now you have access to a full slideshow when clicking on the image. Each site will have a news list library available. By adding this part to your page, you are allowing users to access team and site news in an easily consumable manner. You can choose between different layouts to make sure the one you select best fits your site’s appeal. One web part that you might find yourself using frequently for site navigation purposes is the Sites web part. Just add Sites from the call to action button and it will display the site in tiles for quick access. Here is another integrated Office 365 application for the SharePoint environment. Create a plan, add tasks, set assignees and due dates, and allow your team to complete tasks or move them between buckets. Note that you also have a report view so you can quickly see where the team stands regarding tasks. Are you able to display a Gantt view chart or connect to a resource pool with this web part? No, as this is not MS Project Online. However, this web part will definitely do the trick for smaller sized projects with limited constraints. 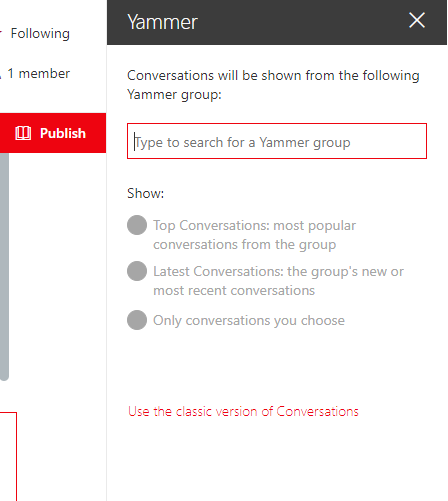 Yet more proof of the tight collaboration between SharePoint and the suite of products available with Office 365, the Yammer app let’s you display top conversations, the latest conversation, or a selected conversation so that you are always in the know. This is where the power of O365 groups comes into play (and we should see more subtle integrations between O365 products and O365 groups in the years to come). This web part allows you to display upcoming and past events. It may take a few minutes between the moment you add an event and the moment it will be retrieved for display on the group calendar, but you can always manually click on “Sync calendar” to force the refresh. 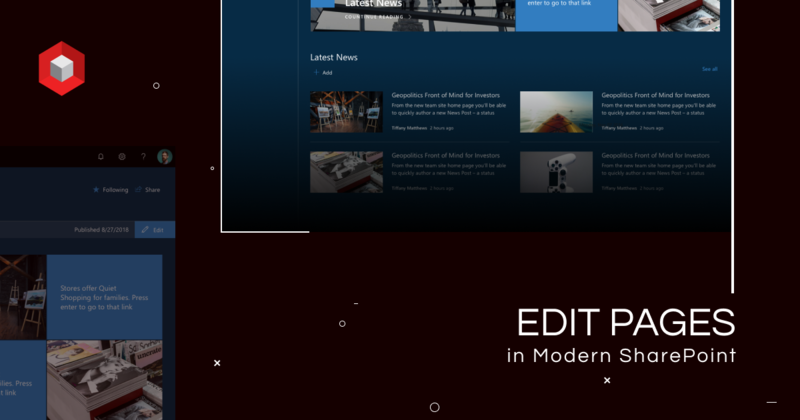 Remember how you can embed videos from YouTube or Vimeo to your page? 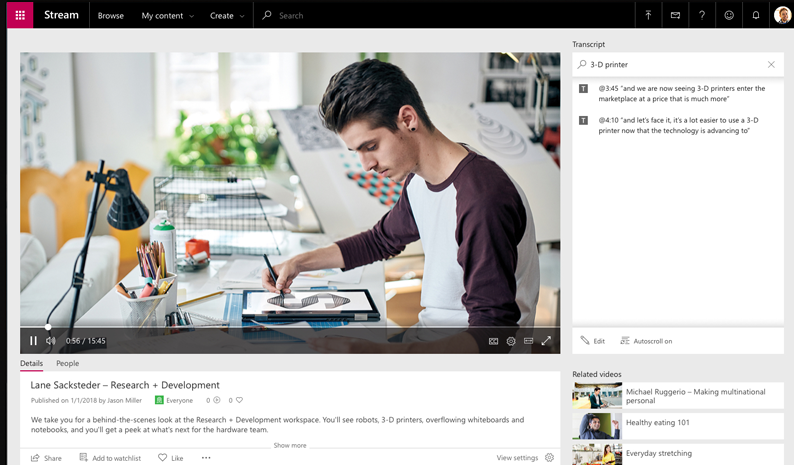 Well, this web part allows you to display videos hosted on the Microsoft Office 365 video streaming platform. This is good if you have content that you are planning to share with partners or investors and don’t want them to get unwanted ads. This was lacking in the classic experience. 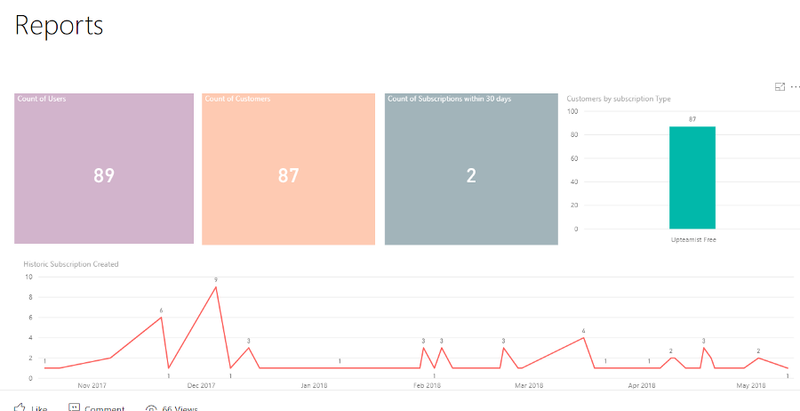 In fact, on classic pages, you had to make the PowerBI report publicly available and embed it into an iframe to display, which was not ideal (especially for confidential information!). 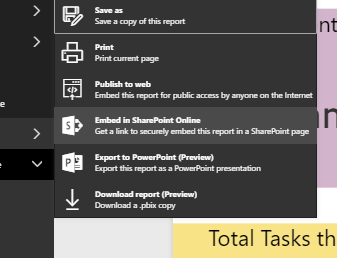 With modern pages, you are given a special token in PowerBI. It will be required to add this when you configure the PowerBI page on your SharePoint site page. 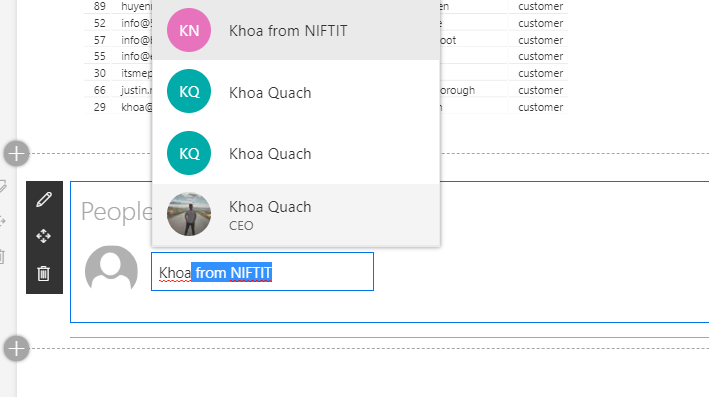 Finally, when you need to display users (from your tenant), use the People web part to search and select users. It will present user thumbnails, and clicking on one will allow you to send emails, start a chat, or gather further information about that particular user (such as his/her department, mobile phone number, and even recently accessed files). This ends the Modern SharePoint Experience series. If you are looking for a SharePoint tutorial source, we are also hosting bi-weekly webinars for beginners to power users.It’s free for everyone. Don’t hesitate to contact us if you have any question!